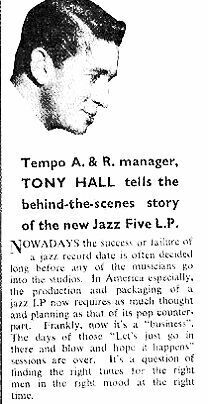 When the Jazz Couriers disbanded in 1958 the British jazz scene was left without a group playing with an aggressive hard bop approach. 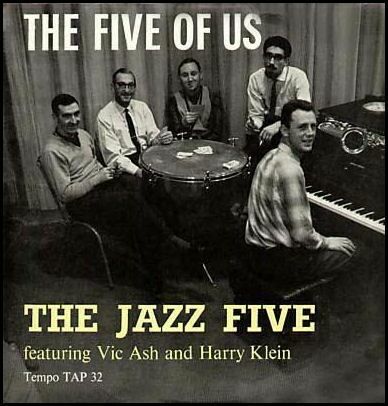 Harry Klein and Vic Ash had been admirers of the Jazz Couriers and in early 1960 they decided to form a quintet to try and carry forward the flamboyant, extrovert style that had made the Couriers so successful. Vic Ash switched from clarinet to a much harder tenor sax style that reminded some of Hank Mobley. The pianist Brian Dee, at the time a semi-pro became a full time musician to join the group. 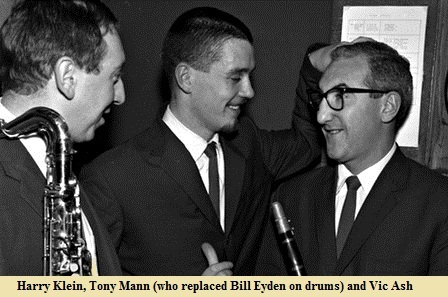 The original drummer was Lennie Breslaw although he did not record with the band and was replaced by Bill Eyden. 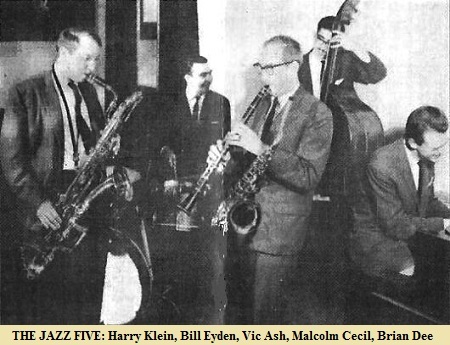 The Jazz Five proved to be very successful and on it's debut tour around the London clubs was hailed as the best modern jazz outfit since the Jazz Couriers. 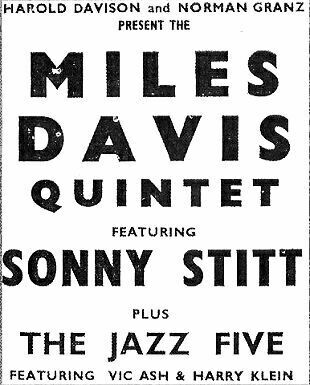 On June 11th, 1960 the Melody Maker reported that the group had opened it's own weekly jazz club at the luxury Coronet Club in St. Johns Wood, The Jazz Five survived until 1962 making it's last appearance at the Gosport Jazz club in February of that year. The band toured the UK with a number of top jazz names including Miles Davis, Carmen McRae and the Dave Brubeck Quartet. Vic Ash was complimented by Miles Davis with the words "Vic, I like the band. It's good." Davis was not a man to be polite unless he meant it The group continued to work the clubs and their album was released in the US as The Hooter! on the Jazzland label. Jazzland was a subsidiary of the Riverside label. Vic Ash (ts,cl), Harry Klein (bs), Brian Dee (p), Malcolm Cecil (b), Bill Eyden (d). There It Is*/The Five Of Us*/'Pon My Soul*/Autumn Leaves*. Vic Ash (ts,cl), Harry Klein (bs), Brian Dee (p), Malcolm Cecil (b), Tony Mann (d). Vic Ash (ts,cl), Harry Klein (bs), Brian Dee (p), Malcolm Cecil (b), Terry Lovelock (d). Hootin' (The Hooter)*/Still Life*/Autumn Leaves*/I've Told Ev'ry Little Star*/Taxidermist*. This page was last updated during December, 2014.